If you have limited access to SQL Server’s file system, getting the .bak file back may be an issue. 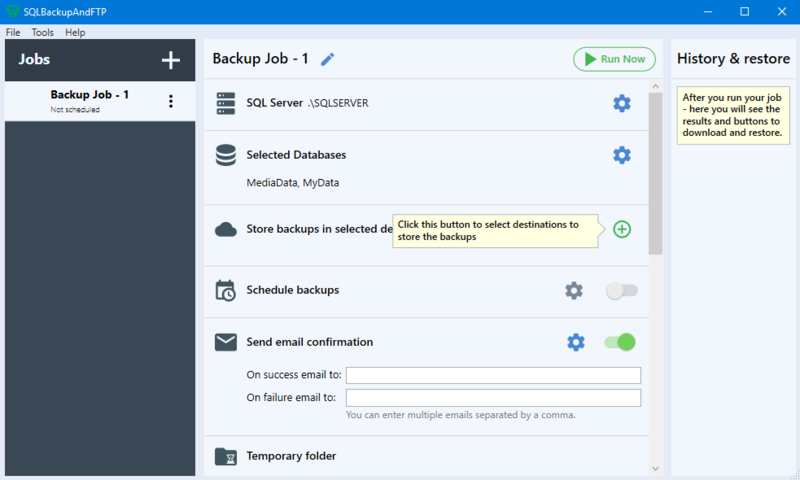 In this case, you can send database backup to some network folder if both you and the SQL Server have access to it. We will show how to do it with SQLBackupAndFTP. 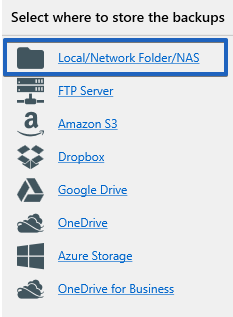 In order to backup to UNC Paths, you would have to select the first option, “Local/Network Folder/NAS”. The SQL Server service account must have FULL CONTROL rights to the file system folder and to the share. The remote share should only be accessed via UNC name. Mapped drives may not be consistently visible to the SQL Service. 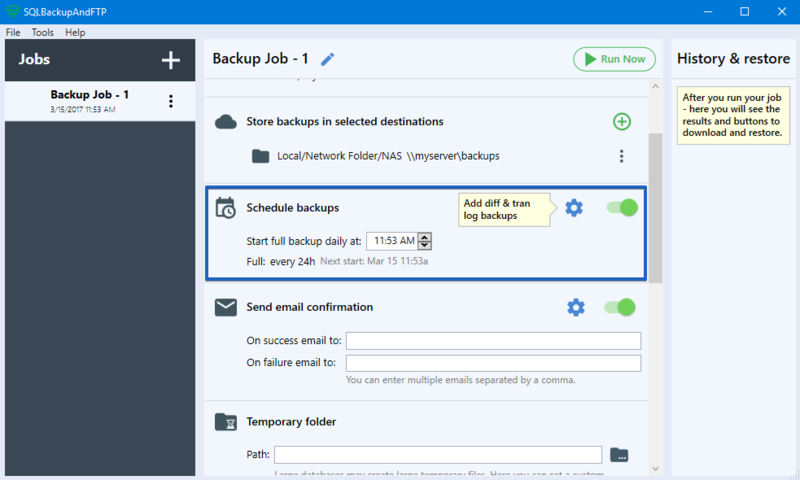 After adding the backup destination folder, all you have to do in order to finish the setup for your backup schedule is to set the actual details of the schedule: the time you want it to run, the frequency (hourly, daily, weekly etc.) 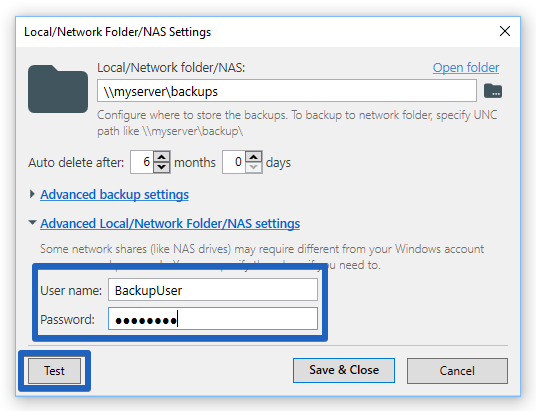 as well as other settings to add another degree of security that your backups are created correctly and that your data is safe. More details on how to set up a schedule you can find in another article, here.